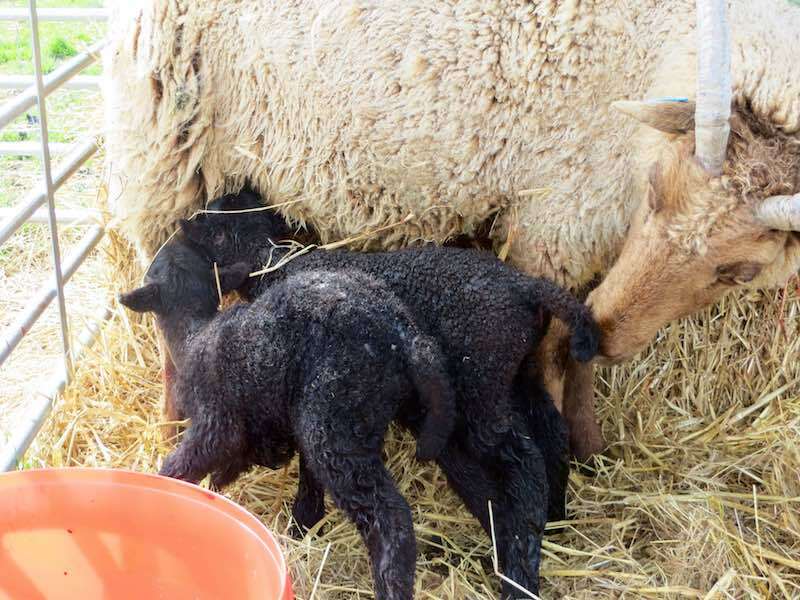 Following all the interest about Alice’s sheep on social media, we are now sharing key moments on this page. 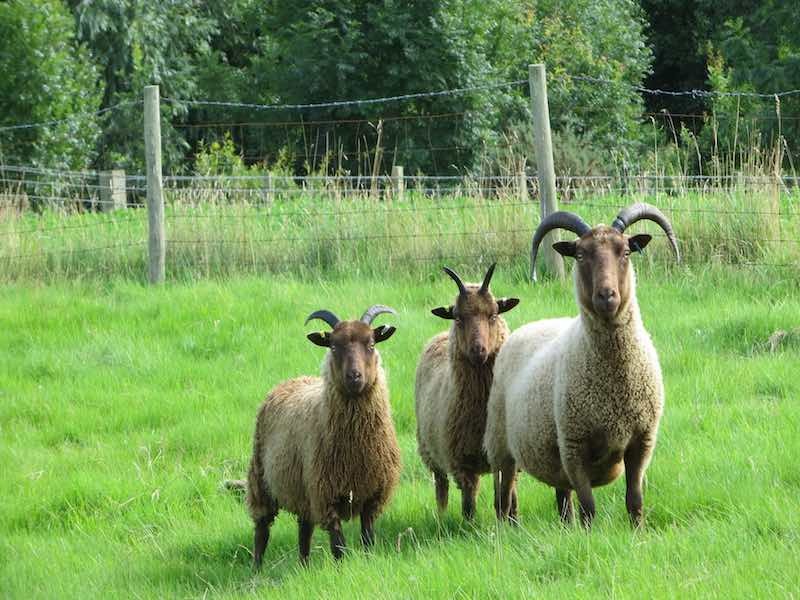 In September 2015, Alice started her own small flock of Manx Loaghtan sheep. 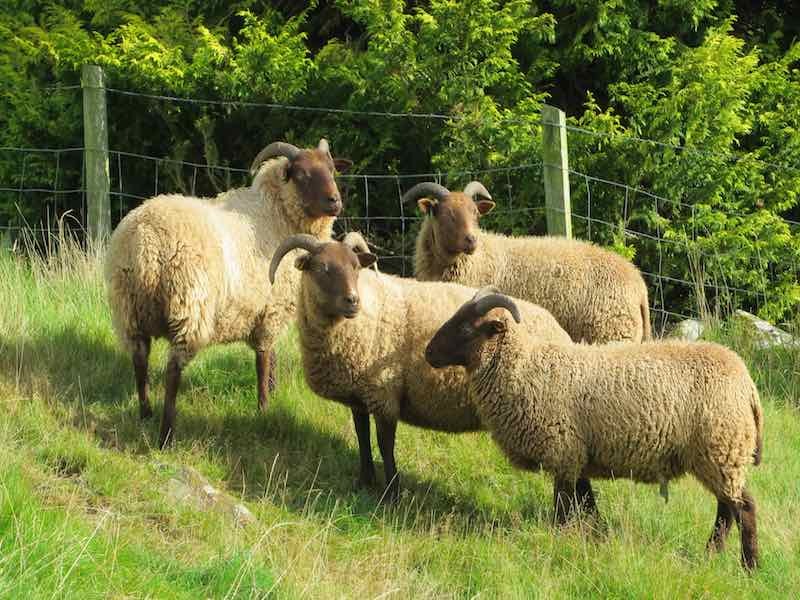 A Boreray wether now forms part of the flock. 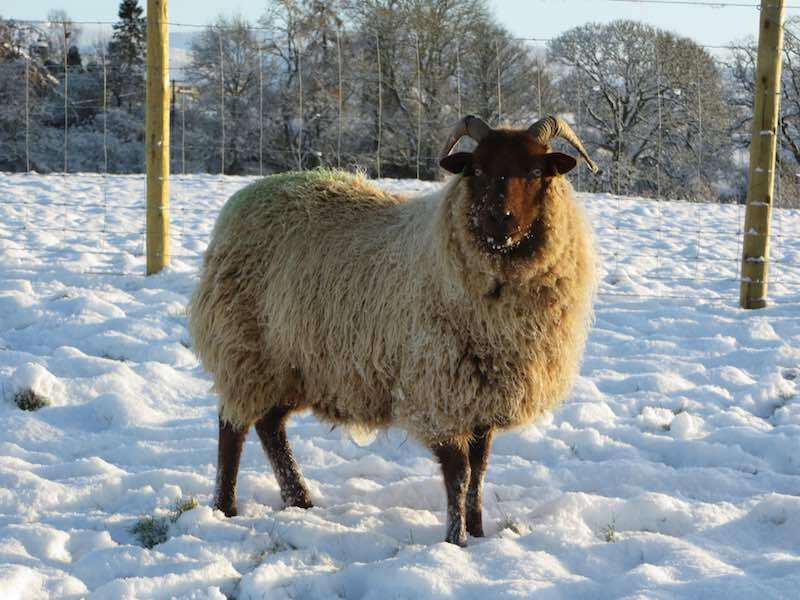 If you are interested in the wool from these breeds, you can buy Borerary aran wool, Manx DK wool, Manx aran wool, Manx scoured and carded fleece and Corriedale/Manx DK wool from our online shop. We also provide Manx wool in our Rufus squirrel and Beckside cushion kits. 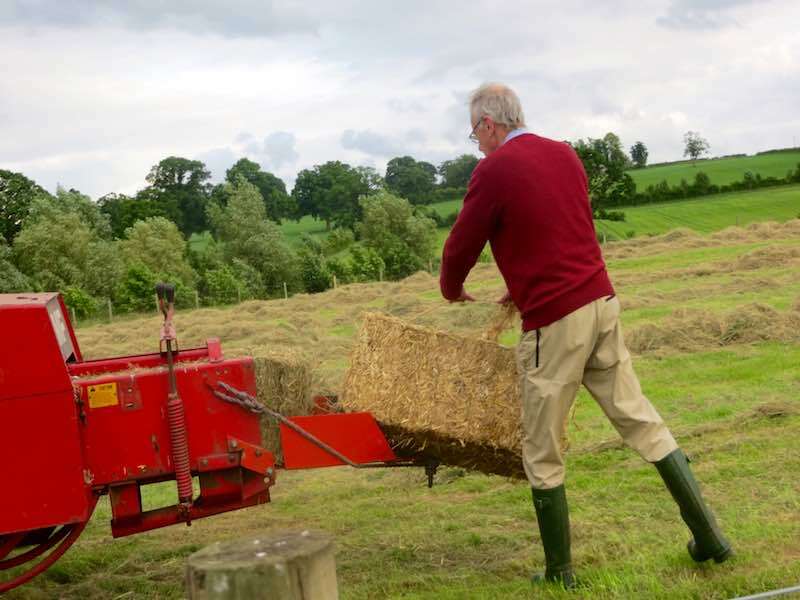 Resulting cut grass now hay, baled at the end of June 2016. 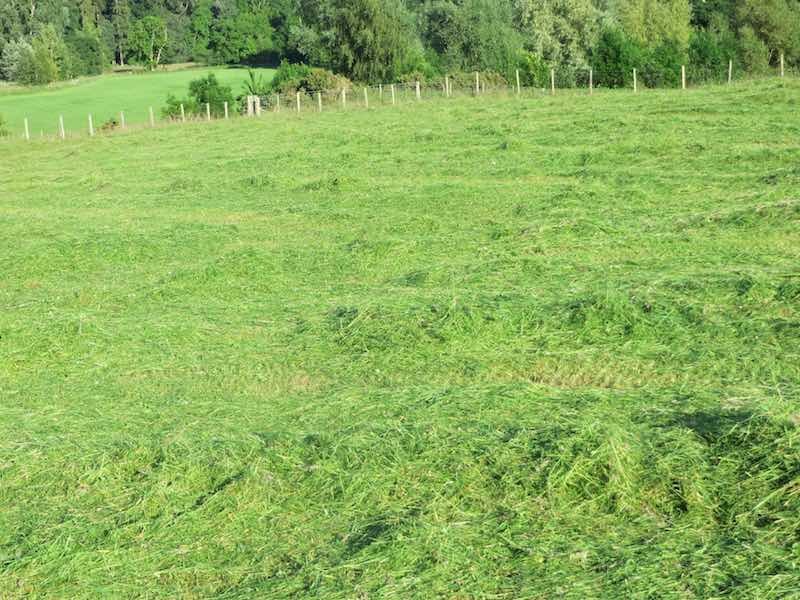 Meadow grass cut and now drying. 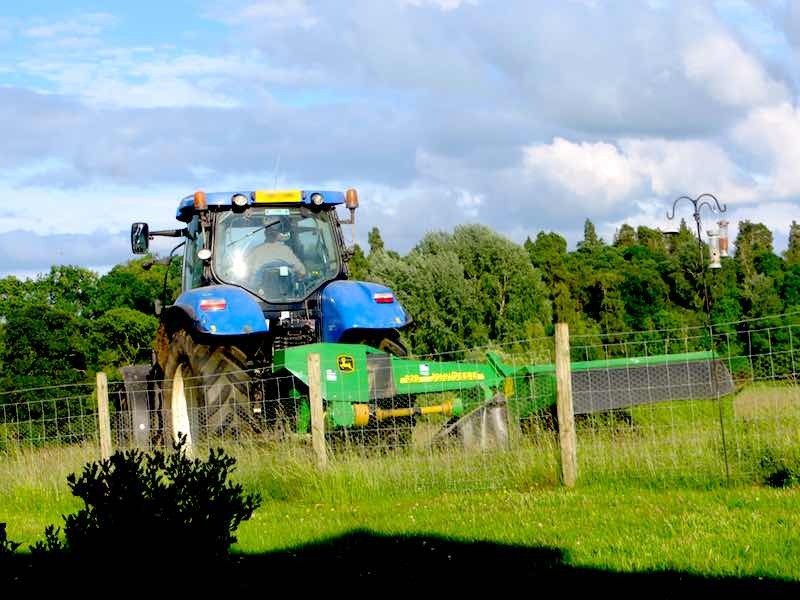 Kind neighbour cutting meadow grass for hay (22 June 2016). 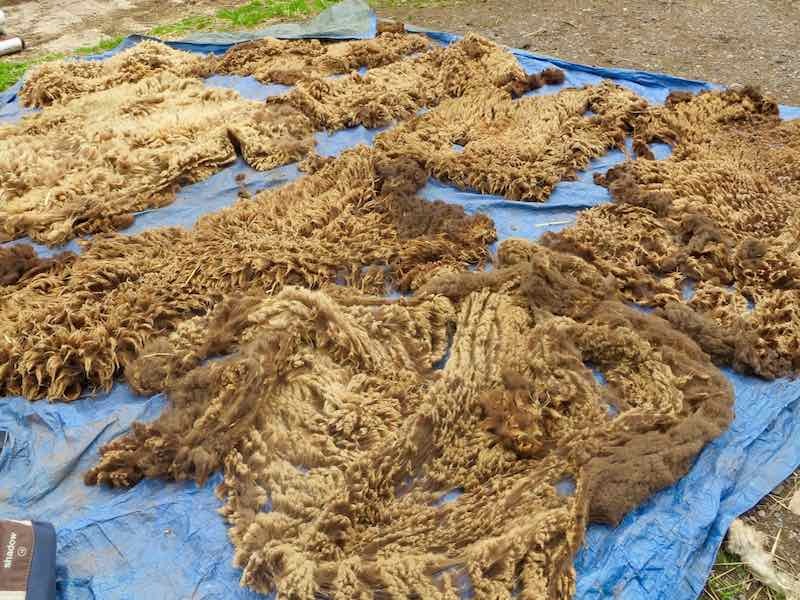 Sheep clipped — fabulous fleece, no cotting at all (12 June 2016). 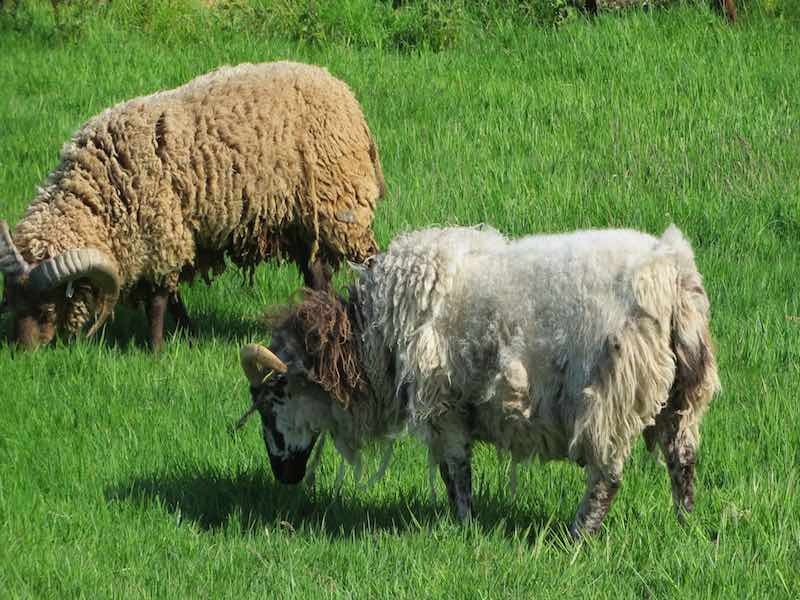 Chops (Boreray) self shearing (rooing) — Bruno (Manx Loaghtan) doing the same but not so extreme. 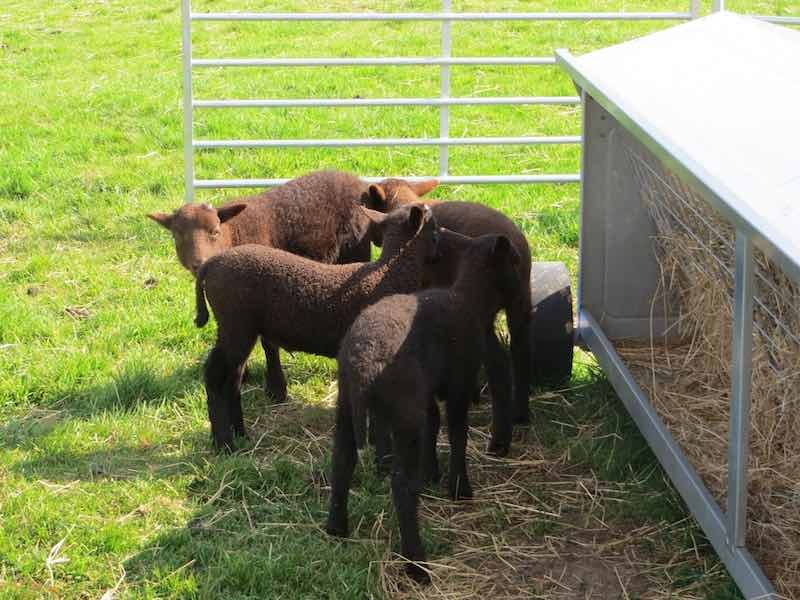 Our four lambs getting to know each other (8 May 2016). 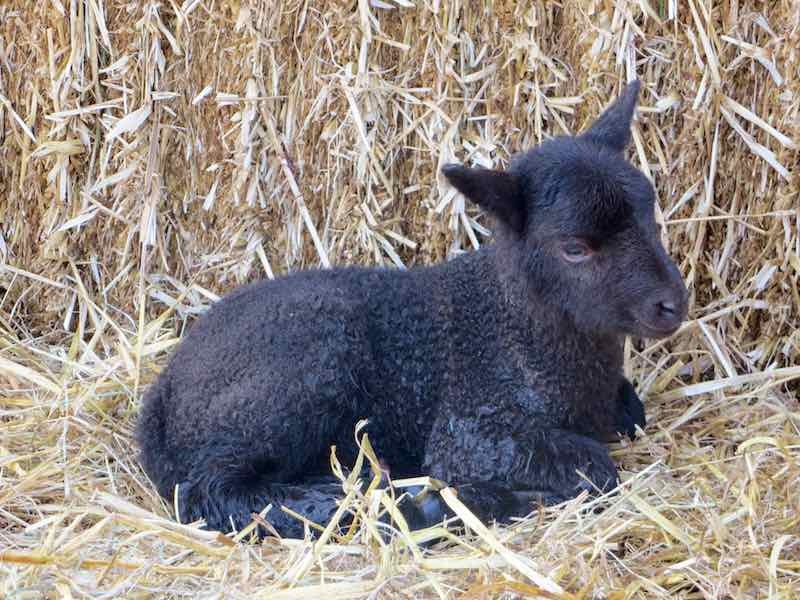 Second lamb — Abigail, born to Jo (21 April 2016). 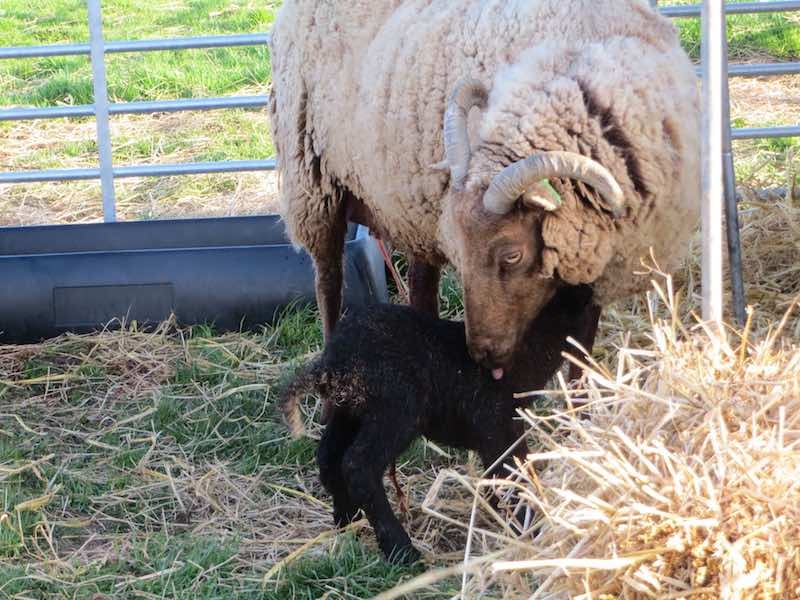 First lamb — Amelia, born to Meg “backwards” (18 April 2016). 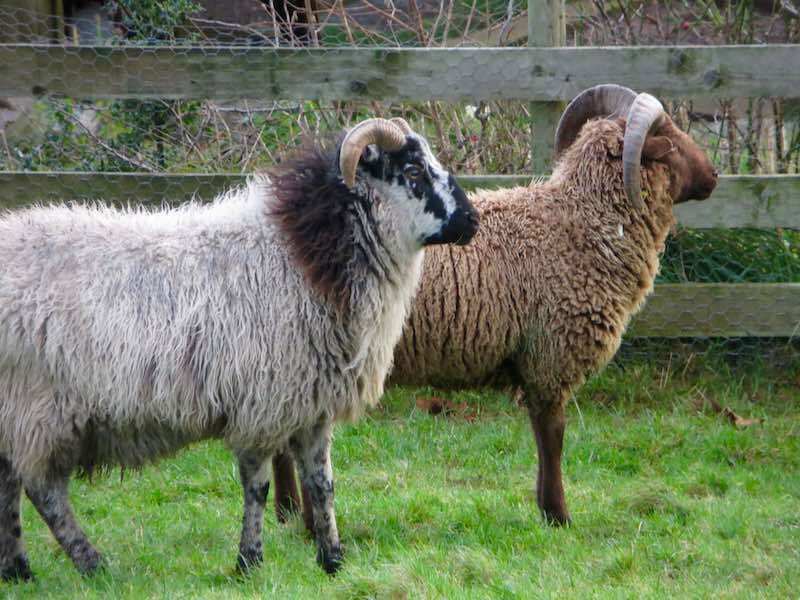 Arrival of Chops, a Boreray wether, to keep Bruno company when separated from the girls (28 December 2015). 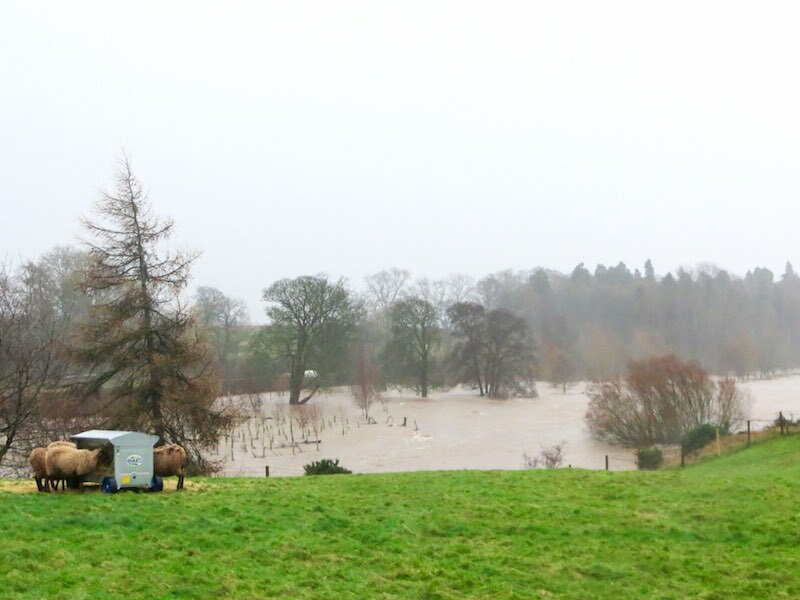 Storm Desmond (5/6 December 2015). 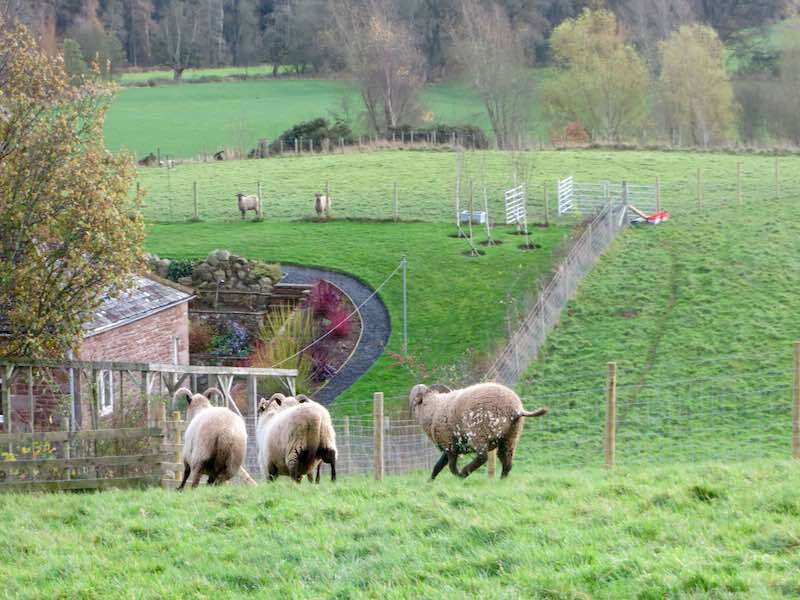 Gimmers separated from the older ewes a few weeks before fetching the tup (31 October 2015). 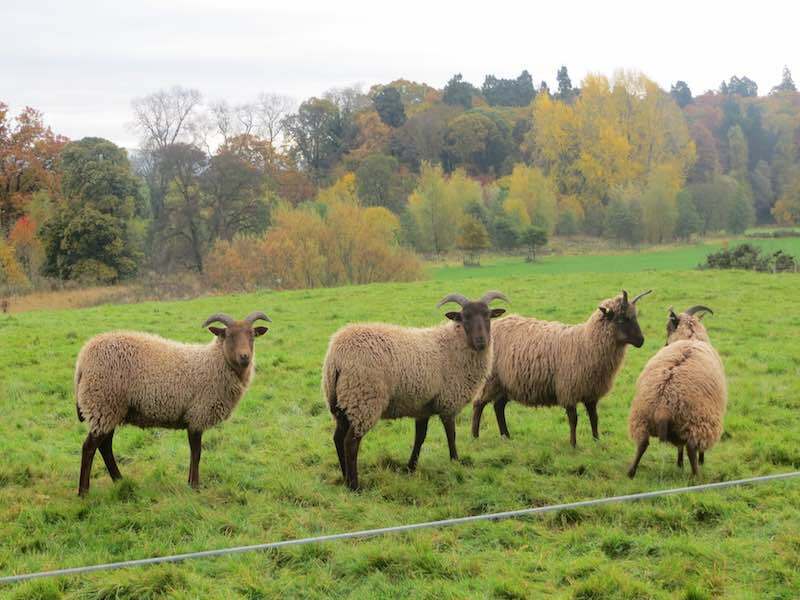 Four more ewes bought from the Raskelf flock (1 October 2015). 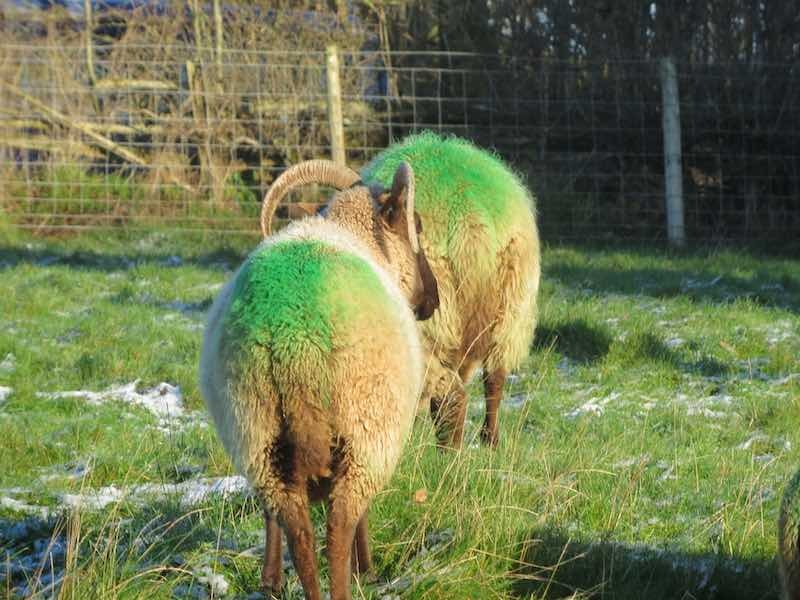 First sheep bought at auction (5 September 2015).